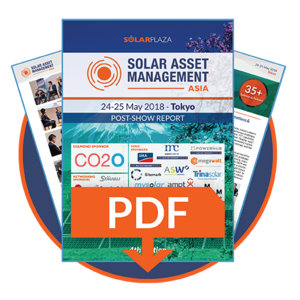 Solarplaza has been organizing events since 2004, hosting over 100 events in over more than 30 countries. 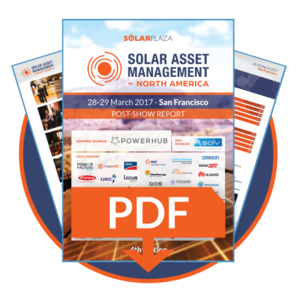 Within that line-up, the Solar Asset Management conference series is a global range of events fully dedicated to Operations & Maintenance, Asset Management and all other technical and financial topics in the operational phase of solar plants and portfolios. With highly successful editions in North America (2014, 2015, 2016, 2017,2018), Europe (2013, 2014, 2015, 2016, 2017), Asia(2015, 2016, 2017,2018) and Latin America (2016, 2017), the series is establishing an important position around the world, following the maturation of international solar markets.